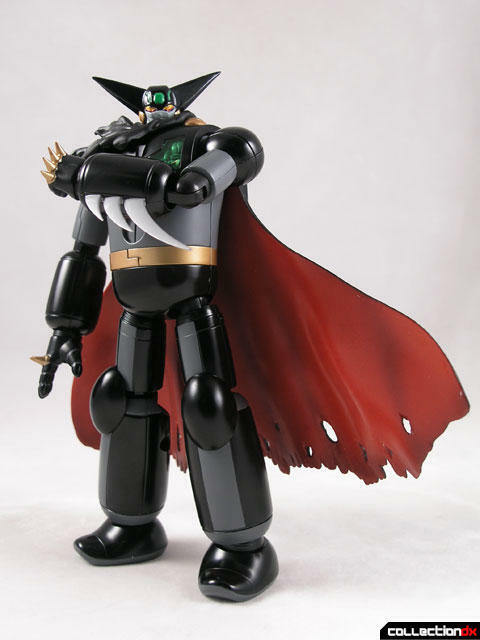 One of the most intriguing robots from the Shin Getter Robo OVA series has finally made it to toy form. 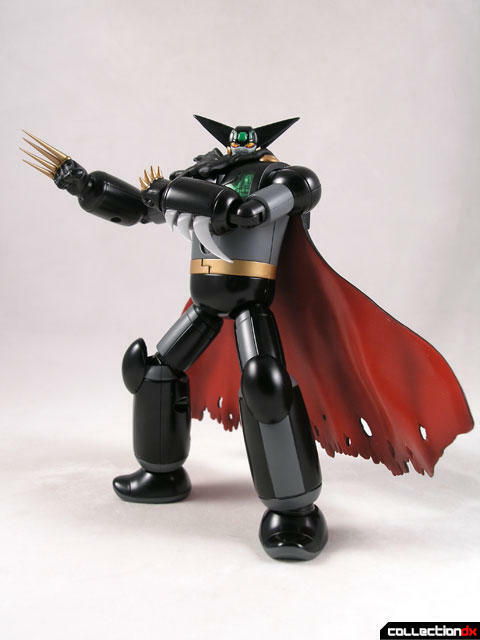 Aoshima brings us the Shin Seki Gokin Black Getter (新世紀合金 ブラックゲッター). The figure reviewed here is the normal version. The figure comes in the typically nice Aoshima box. Inside is a Styrofoam tray, with covers on both sides. One side has the figure and accessories, the other has the cape. Also included is a short instruction booklet. For some reason, this Styrofoam is very crumbly, and when you take Black Getter out, he will likely be covered in Styrofoam particles. 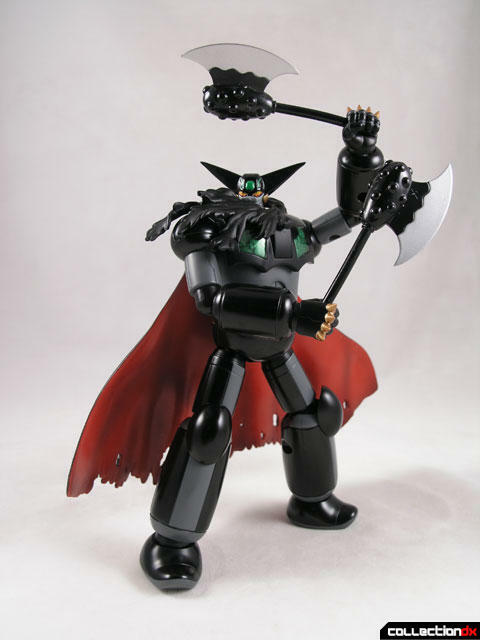 Black getter stands tall and strong. It is not as articulated as some of the other modern chogokins, but that is par for the course with Aoshima. The shoulder joints allow you to spread the arms out as well as up and down. 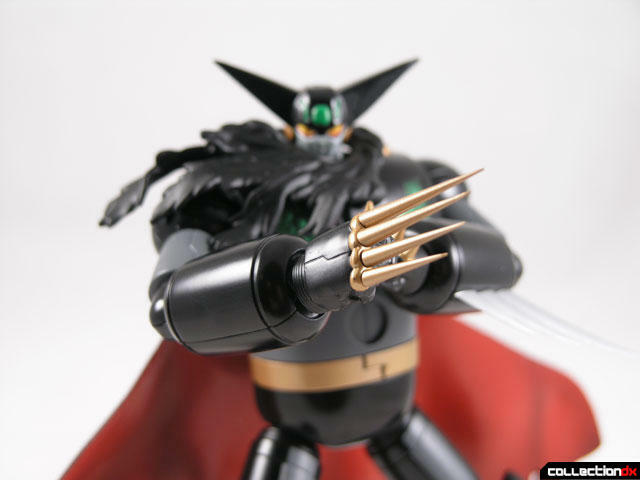 The elbows have the same kind of joint that Mazinkaiser has – where you pull out the lower arms to reveal the joints. The hands are easy to replace, and the peg they attach to is actually diecast metal. There are several different sets of hands you can choose from. My favorites are the long spiked hands. The spikes need to be attached to the fists, and they are VERY sharp. You also get one open hand, 2 closed fists, and 2 fists that hold the Getter Tomahawks. There is no waist joint, but the upper legs feature the same kind of pull-out action that the arms do. They don’t come out far, but they do extend a little. The knees have detented joints, and the feet are also articulated, although not as much as I would have liked. The chest area has three gimmicks, but sadly – no waist joint. The panels are translucent plastic so you can see the details underneath. First off, there is a cockpit in the upper chest that opens to reveal a pilots seat. 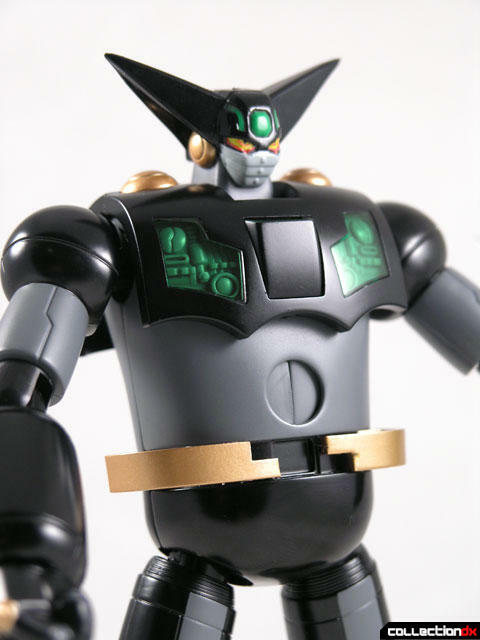 Second, the Getter Beam opening in the chest can open by pressing the button on the back of the figure. Last, the belt separates for some reason… I don’t remember why. The cape and scarf really make this toy, but are also the greatest issues of contention. To attach the scarf, simply pull the head off and place the scarf area around the opening. The scarf can be placed on either side. The cape is a bit trickier. First you have to remove the back part of the shoulder panel. 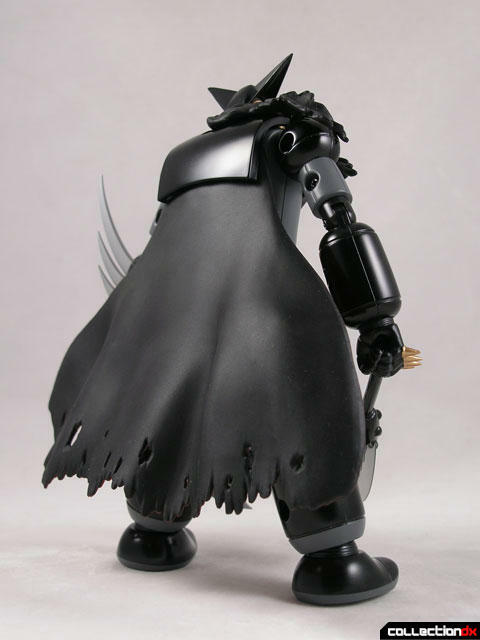 The holes on the top of the cape need to be applied to the pegs on the back of the panel. You then push the panel back in. This is all well and good, but unfortunately the cape is too heavy, and pulls the panel off almost instantly. To make this connection tighter, I put a small bit of scotch tape around the central peg of the back panel. Now it is nice and tight. 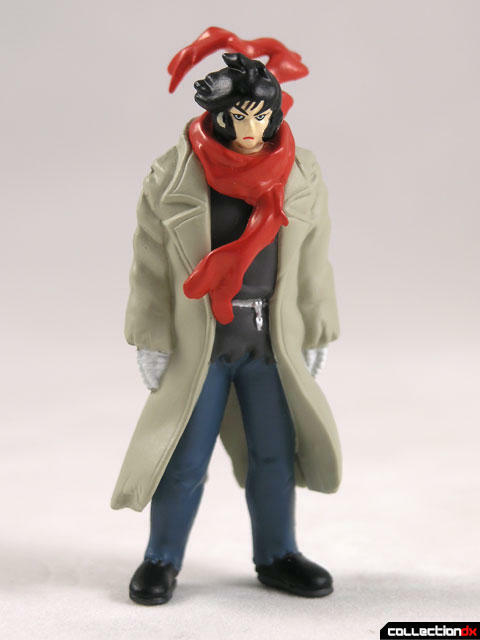 Also included with the robot is a small figure of the pilot Ryoma. Some people have complained that it looks like he is wearing lipstick – I don’t see it. It’s a decent little figure, but it has no articulation. 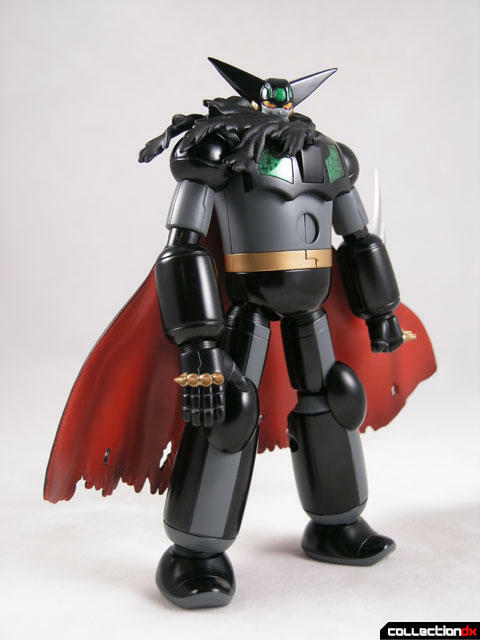 Different versions of Black Getter have different figures included with them. The cape is too heavy for the figure, and pulls the panel off. The rubber on the cape may not stand the test of time. Could have used better foot joints. 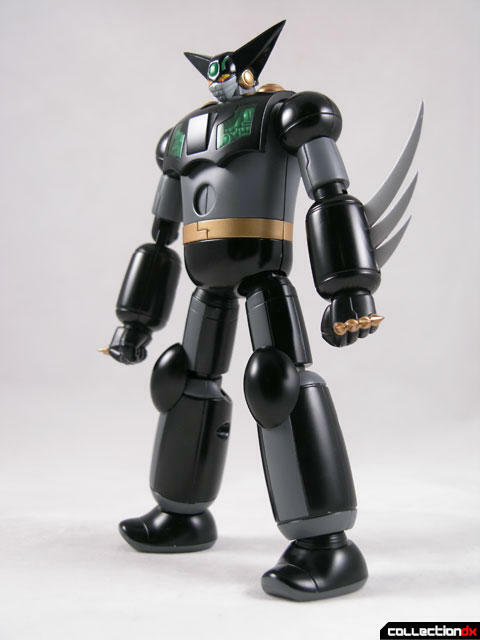 i'd love to review the Fewture EX Gokin getter, but as its very expensive, it isn't in the works right now. If a sponsor wants to send it to us, or a user wants to review it we would love that!